Jesus and his disciples made preparations for the celebration of Passover. On the first day of the Feast of Unleavened Bread, a Passover lamb was customarily sacrificed. The Passover lamb was to be a male without blemish. Bread for the meal was made without yeast. During this Passover everything was about to be changed. 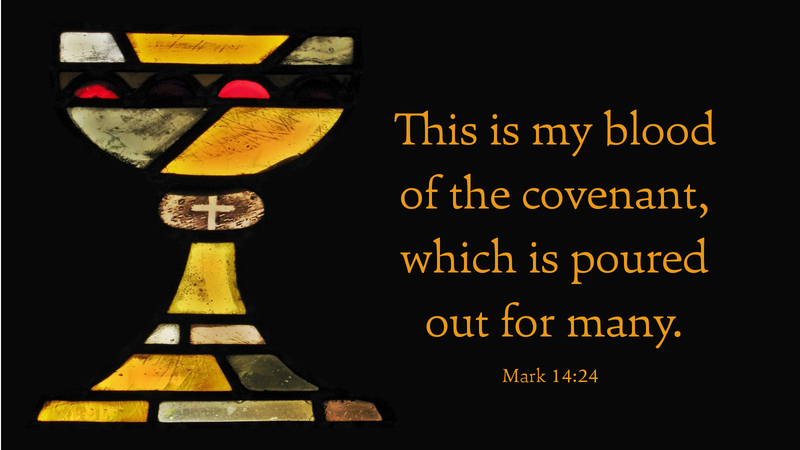 The bread would become the body of Christ and from the cup, they would drink of his blood. Jesus knew there was a traitor among them in that upper room. Jesus knew all those who surrounded him on that first night of our Lord’s Supper. He knew they would all distance themselves from him in the next 24 hours, as he endured his suffering and excruciating death on a cross. Jesus knows all about you and your sinful nature. That is why he gave himself as the sacrificial Lamb and invites you to eat and drink at the Lord’s Table today. Jesus gave himself up for you so you could be forgiven and redeemed of your sins and welcomed into God’s eternal kingdom. All you need to do is believe and trust in Jesus Christ as your Lord and Savior. Prayer: Precious Lamb of God, thank you for the amazing gift of love and grace which you have abundantly showered upon me despite my daily struggles with sin. Amen. Today’s devotion is written by Rev. Robert V. Alle, NALC Pastor.